Ubisoft is a name known to gamers worldwide – no matter whether your preference is PC, Xbox or PlayStation. They are the creative and technical brains behind chart-topping game series and a leading global producer, publisher and distributor of interactive entertainment titles. 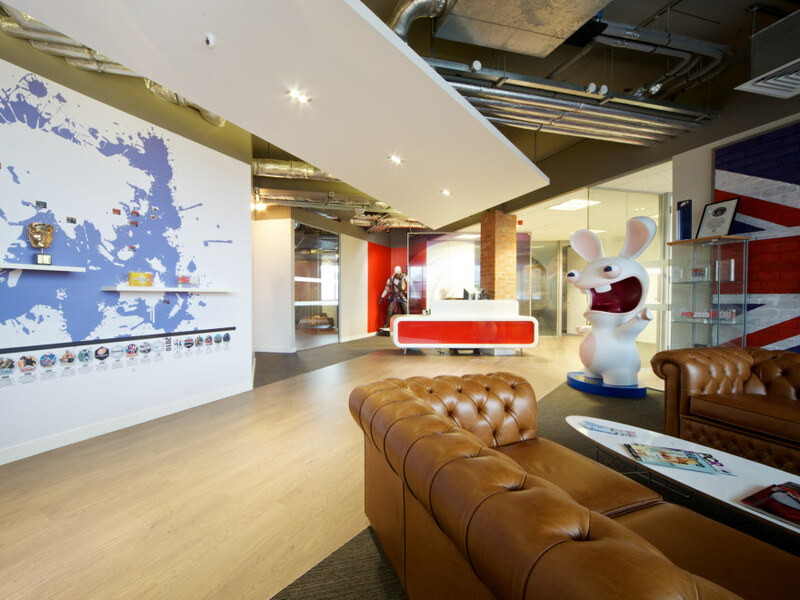 Ubisoft culture is based on passion, innovation and enjoyment in a rapidly moving technology-led environment. 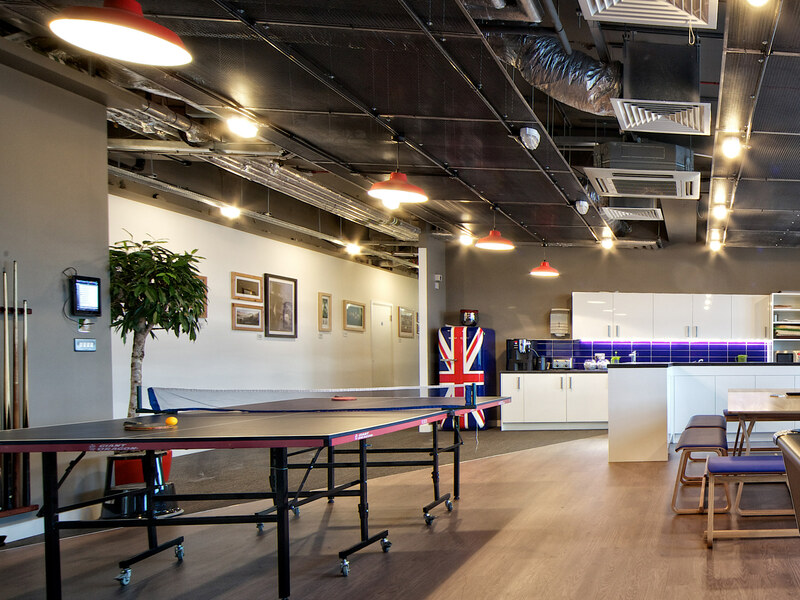 The offices of the UK publishing team needed to reflect these qualities and stimulate creativity while being extremely functional. 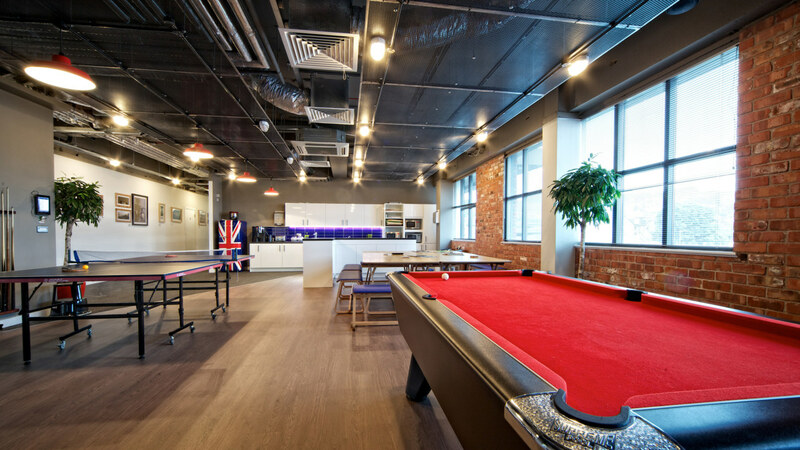 We were brought in to carry out a 10,500 sq ft Cat A and Cat B fit out and internal design. 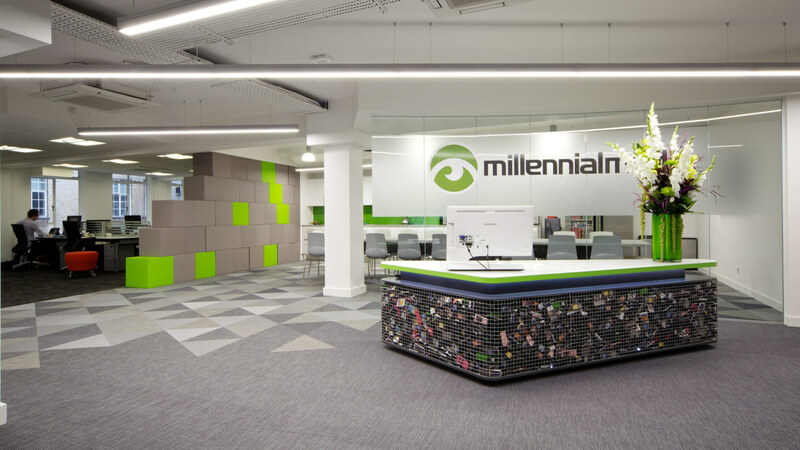 Our team produced a funky and modern design scheme that was fresh, light and innovative. 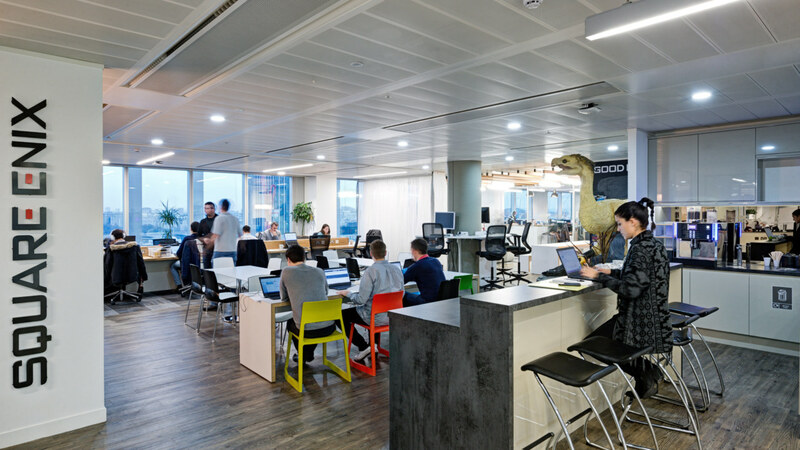 We removed the existing grid and tile suspended ceilings to the open plan office and other dedicated areas to expose the services and provide an industrial and edgy feel to the office environment. 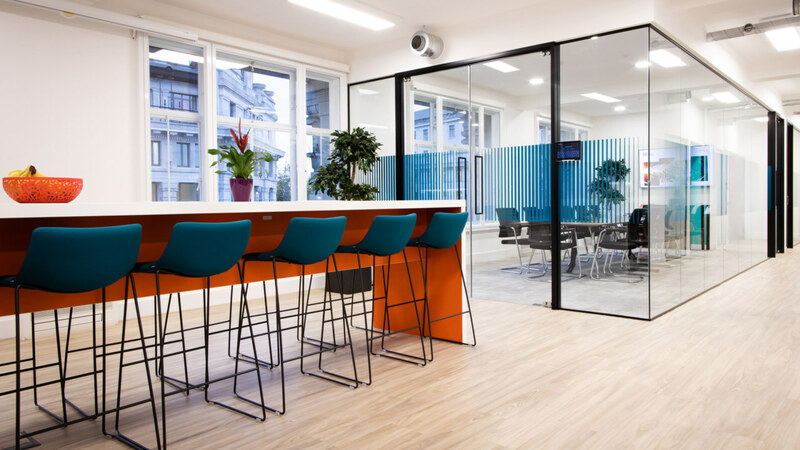 Meeting rooms and other cellular offices were created with careful consideration over lighting, audio-visual presentation, air conditioning and acoustic performance. 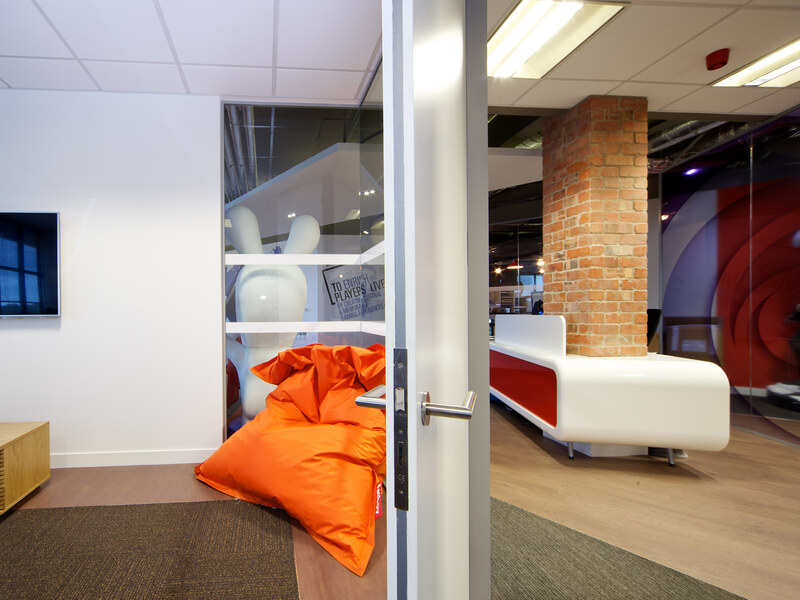 The design of the office layout includes flexible space to make other permutations possible in the future, striking reception and breakout areas, as well as assorted offices, meeting rooms and a games room.